The Melbourne University Mountaineering Club twenty four hour walk was invented by Niall Brennan and Bill Bewsher, with the first in 1947 taking a course from Healesville to Mt Donna Buang and attracting only 5 entrants. The walk was modeled upon navigation exercises used by troops during the Second World War. The annual event continued for more than 30 years; with numbers varying up and down from 50 to 200. It was always a line event (following a set route like an orienteering course) with anyone welcome, but no publicity outside the University. Controls consisted of a tape round a tree and a jar on the ground with a raffle ticket book to record a visit. The event was always held as close as possible to the shortest day and longest night. Participants left the University by bus on Saturday morning, destination unknown. The concept slowly spread and Adelaide University commenced a similar annual event in 1961 (with the first use of the modem day score style), while Universities in New Zealand adopted the abbreviated name Twalks. An Intervarsity orienteering competition commencing in 1967 attracted up to 50 entrants and assisted the grass-roots spread around Australia s southern and eastern states. Victoria’s Surrey Thomas Rovers group instigated the first annual public event in 1972, though its publicity focus was on scouts, venturers and rovers. Well, the rest is history. The Victorian Rogaining Association (VRA) was formed in 1976 with Rod Phillips as President and the goal to coordinate and publicise twenty four hour events as a sport in their own right. The name Rogaining was coined to give the sport an identifiable name. The origin of the name was kept secret for more than 10 years, with Rod Phillips mischievously suggesting it had aboriginal or Swedish origins. 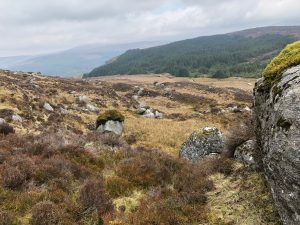 The acronym Rugged Outdoor Group Activity Involving Navigation and Endurance gained popularity, but the name Rogaining originates from the names Rod Gail and Neil Phillips. The Victorian Rogaining Championship was established to give the sport a focus and was run for the first two years in conjunction with other events. The Victorian Rogaining Association made membership compulsory, with the regular newsletter subsidised by events. The very cheap membership (initially 50c) ensured that rogainers were always informed of coming events and were encouraged to do more events. The first 12 hour event was run in spring 1977. It proved so popular that regular shorter events have been established ever since. In 1978, Sue Grice designed the now familiar rogaining logo featuring a mountain, sun and moon, night and day. Neil Phillips formed the Australian Rogaining Association (ARA) in 1979 in conjunction with the first Australian Rogaining Championship,· run at Tallarook, Victoria. The only interstate team was one from South Australia who came fourth. At the time, there were no state associations other than the VRA. When Neil Phillips and regular rogainers Ross and Kerrie Emslie moved to Western Australia, a small group was formed which became W ARA. Despite seemingly thick and flat terrain, rogaining membership has flourished in Western Australia like nowhere else. Some possible reasons are the good weather, closeness of suitable terrain to the main population centre and a concentration on the needs of the social rogainer. Rogaining spread to New South Wales (NSW), Australian Capital Territory (ACT), South Australia, Queensland and Tasmania during the decade 1983 to 1993, with strong rogaining associations now established in all these states. The first rogaine in North America was in Canada in September 1986 at Lake Minnewanka, Alberta in the Canadian Rockies near Calgary. Hosted by Kitty Jones, Andy Newson, and Jim Force. Winners were Stuart Wood and John Laycock, with 89 participants in 30 teams. The first United States rogaine was in May 1989 at Buck Meadows, Wenatchee National Forest, Washington State in the Cascades near Ellensburg. Hosted by the Washington State Orienteering Association with Bob Reddick, Carl Moore, Knut Olson, and many others from four area 0 clubs. Winners were Dan Waugh and Mark Hartinger of Seattle, who punched 35 of 45 controls travelling 44 miles and climbing 5800 feet. There were 112 participants in 52 teams. In August 1990, Canadians Kitty Jones, Andy Newson and course setter Jim Force organised the Most Awesome Rogaine at Bob’s Creek, south of Calgary, Alberta in conjunction with and directly after the Asia-Pacific Orienteering Championship, itself an Australian invention. At this event, rogaining reached its pinnacle, with 20 different countries represented, including 57 Australians in a total of 136 teams (yes, teams!). Winners were Brian May and Francis Falardeau of Canada. With rogaining becoming popular in North America, Neil Phillips formed the International Rogaining Federation as an umbrella organisation similar to the ARA he formed 10 years earlier. The IRF at present functions only as a think-tank and international focal point. In January 1995, Ken and Anitra Dowling organised the first New Zealand rogaining championship, attracting 143 entrants. The first World Rogaining Championship (WRC) was held at Beechworth, Victoria in October 1992, with a small international representation from USA and New Zealand. The second World Championship is planned for 31 August 1996 near Perth, Western Australia. Rogaining is now well established in USA, Canada, New Zealand and Australia.